PROVIDENCE, R.I. (AP) — A strike by Providence school bus drivers that’s affecting more than 9,000 Rhode Island students continued for a fifth day Wednesday, with no end in sight. 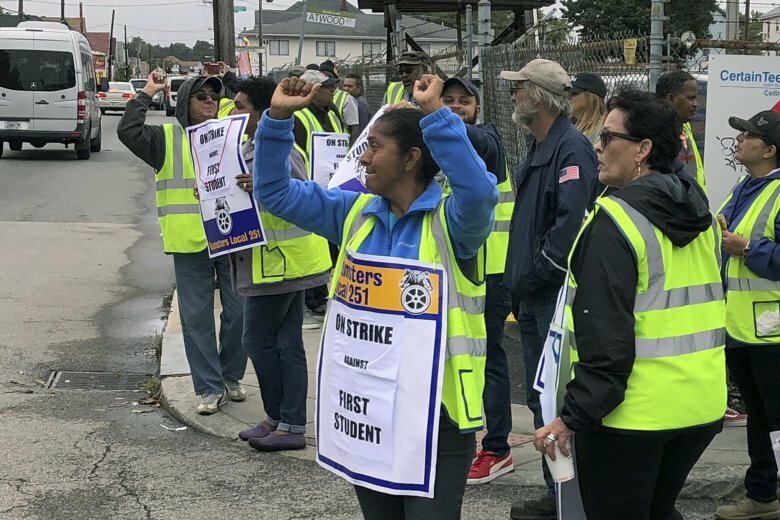 Drivers picketed Wednesday near the yard where buses are kept by First Student, the private company overseeing the city’s school bus operations. The drivers’ union, Teamsters Local 251, said no meetings are currently scheduled between the sides to resolve their dispute over retirement benefits. The school district has urged both sides to end the strike but says it currently isn’t taking any action to compel them. The company will meet “at any time and at any place” to resolve this issue, spokesman Frank McMahon said. Advocates for people with disabilities have called on the city to provide transportation for about 1,000 special education students. They warned that failing to do so violates federal law. The school district said it can’t find vendors to drive all of these students, and believes it should not transport some and not others. It’s offering to reimburse parents for their transportation costs after the strike ends. First Student’s contract excuses it from providing transportation services during a labor dispute. Providence parent Cynthia Velez said she recently was late to work because she had to drive her daughter to middle school. She’s worried about losing her job if it happens again. She feels the issues should’ve been addressed before the school year began. Local 251 Principal Officer Matt Taibi said the strike will continue for “as long as it takes” for the company to commit to a secure retirement, in the form of a Teamsters pension. McMahon, of First Student, called the Teamsters pension plan “failing” and said it would be irresponsible to allow employees to participate. The company wants drivers to participate in a 401(k). Police say a 13-year-old girl who was riding a bike to school because of the strike was struck and injured by a car last week. Authorities say the student normally takes the bus.